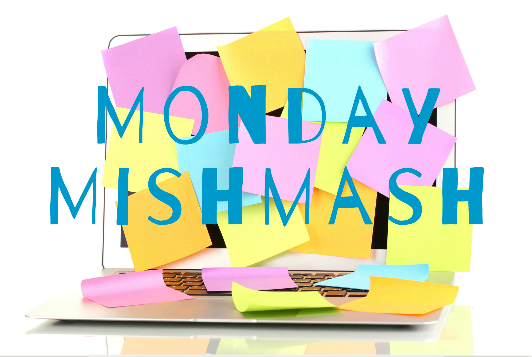 Monday Mishmash is hosted by Kelly Hashway. Anthology- It's happening. In a couple of weeks, I will register Sweets Enterprises as a business and there are some awesome authors who are in the anthology. I cannot wait to announce the names. Novella- So I'm about half way through a Hope prequel I plan to make free on Amazon as soon as it's ready. Decree of Hope- Woohoo! This book hit the lists last week and it will be free through Wednesday. If you enjoy it, please leave an Amazon review. Balance- I've got to figure out a work/writing/family time balance. No idea how though. Debilitating Insecurity- Speaking of time, I spent most of Saturday staring at a computer screen willing words to come that just didn't. I was too afraid of getting it wrong. I have got to find a way around that.